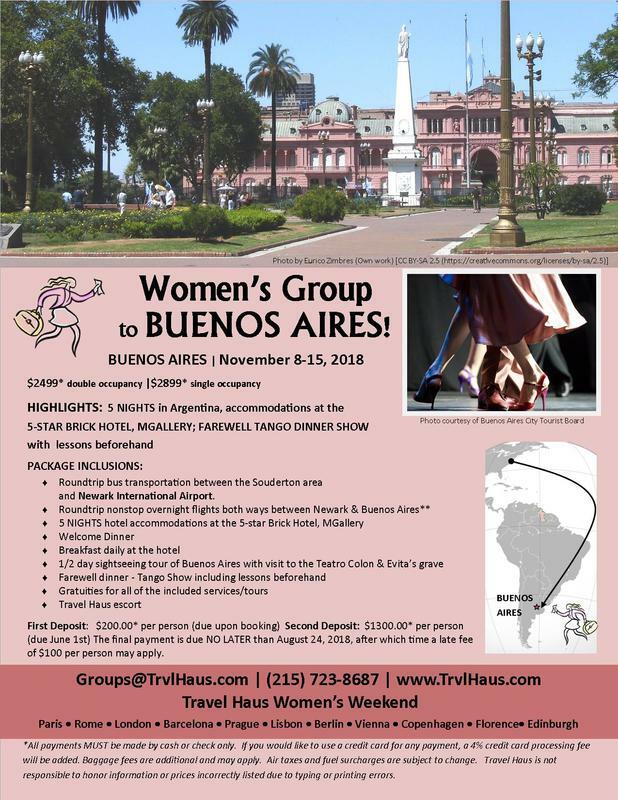 Join the 12th Annual Travel Haus Women's Group as we explore the exciting destination of Buenos Aires, Argentina! **Please note that both flights are overnight flights. 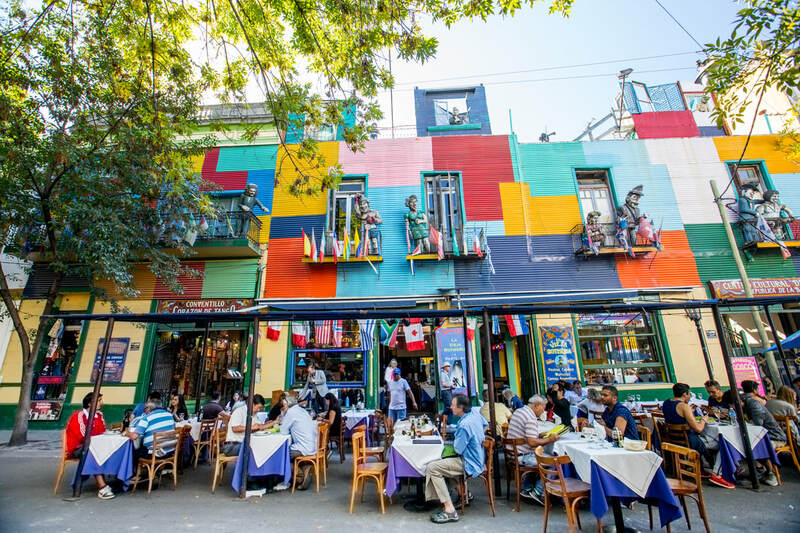 This means more time in Buenos Aires: on top of an extra night in Buenos Aires, you will also get an extra day since the flight home is at night instead of the morning as it usually is from Europe. Download our ﻿Mandatory Booking Form﻿ and send it in with your deposit! 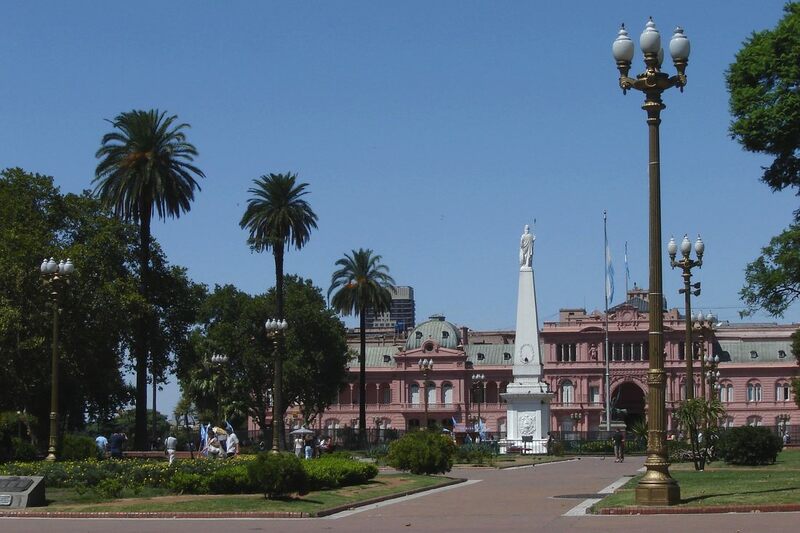 The final payment is due NO LATER than August 24, 2018, after which time a late fee of $100 per person may apply. *All payments MUST be made by cash or check only. If you would like to use a credit card for any payment, a 4% credit card processing fee will be added. Baggage fees are additional and may apply. 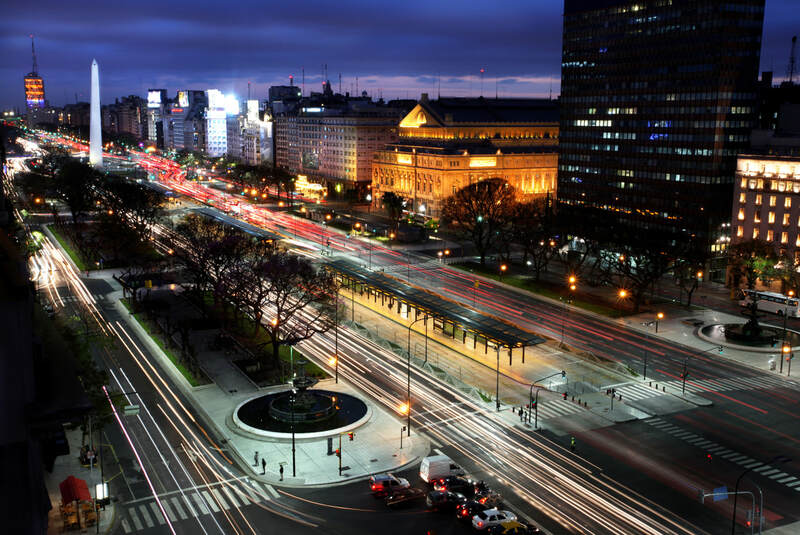 Air taxes and fuel surcharges are subject to change.